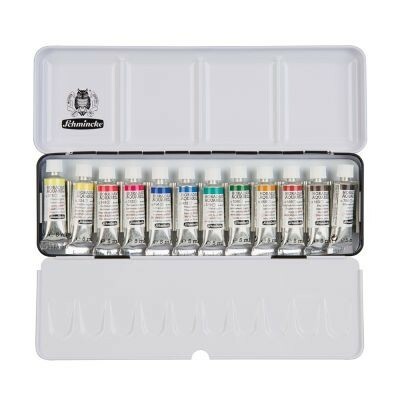 Watercolours can be easily mixed with each other. 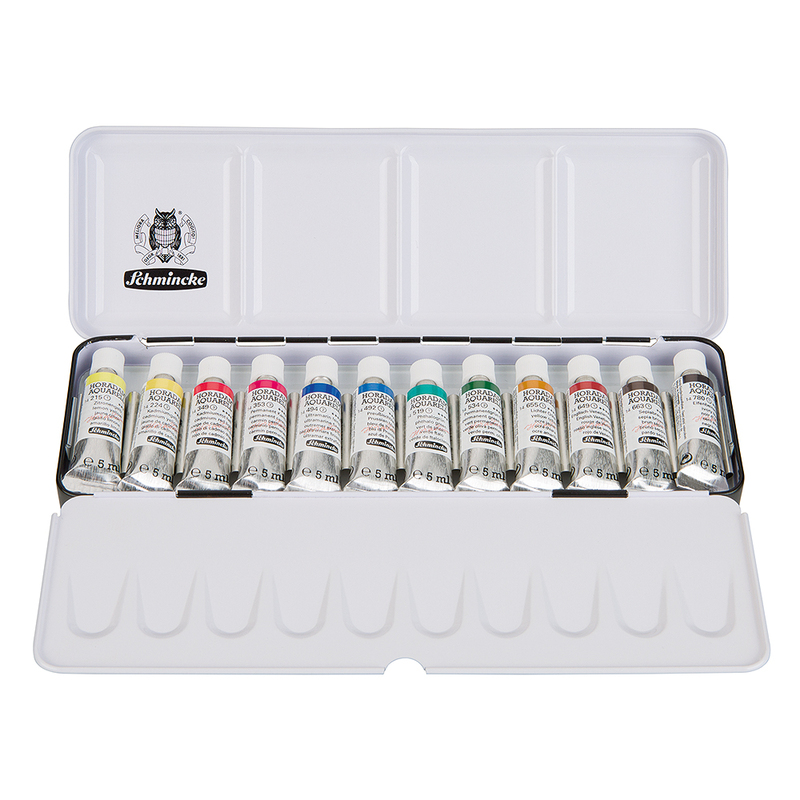 A wide range of colours can be mixed just with the useful collection of colours in the Schmincke 12 set. 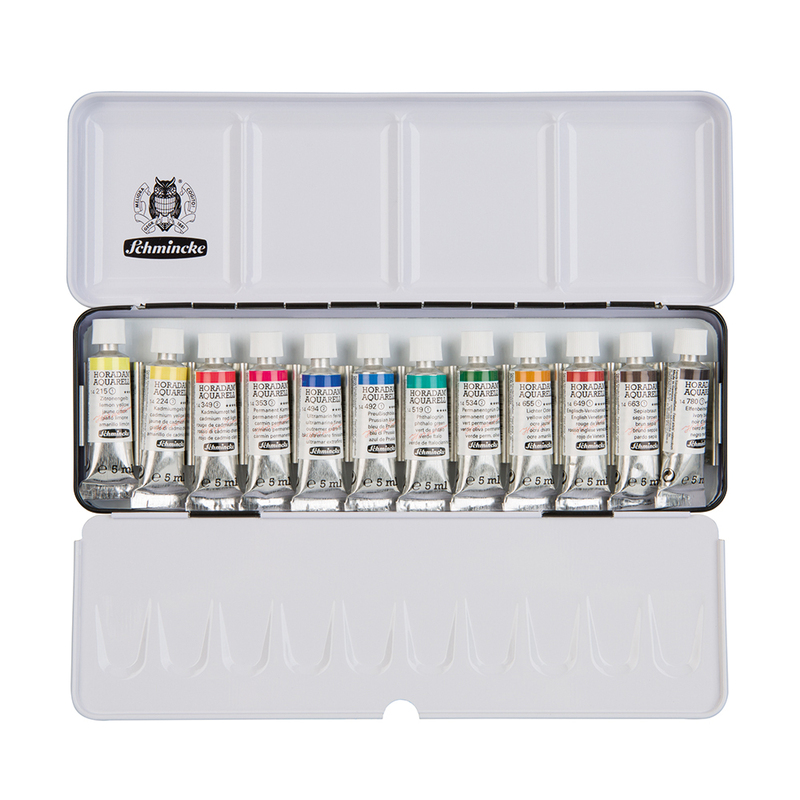 Due to the high number of single and double-pigment colours, mixtures produce colours of exceptional brilliance and purity.